Posted byColin Mackay	 10 November, 2014 Leave a comment on There were build errors. Would you like to continue and run the last successful build? Oh, Would I! Could I really do that?!? Well yes, but I cannot think of any situation where I would want to do this. I’m not saying there isn’t a time I might conceivably possibly maybe actually want this, but I can’t think of it right now and I’ve not come across that situation for as long as I can remember getting this stupid dialog..
Now, obviously you can press the “Do not show this dialog again” and press “No” and it will remember that as your default choice. However, what if, like me, you were a bit ham fisted and accidentally pressed “Yes” and then wonder why your latest changes simply don’t work. How do I fix that? There’s no dialog any more. 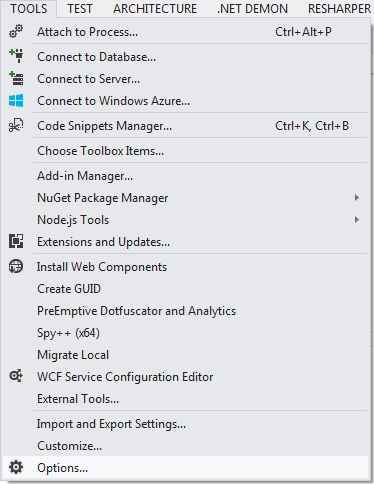 There you will see the option "On Run, when build or deployment errors occur:" and a drop down indicating the action. Change the drop down to "Do not launch" in order to ensure that your application does not launch when a build error occurs. While we are here, do you ever want to run your application when the projects are out of date? I can’t think of any time I’ve wanted to do that. 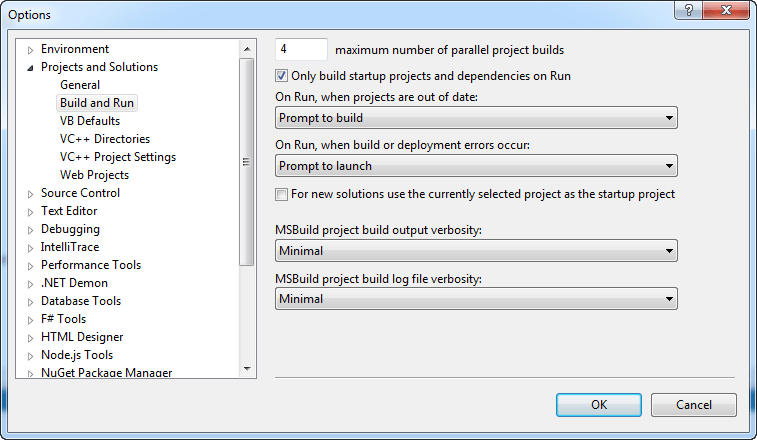 There is an option to stop prompting you do do that and just “always build” in that case. Once you’ve made your changes, press “OK” to save the changes.